Miklos Gimes was born in Hungary in 1917. 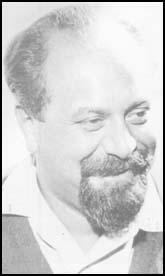 A journalist, Gimes worked for many years as the foreign correspondent of the Hungarian Communist Party journal, Szabad Nep. Later he worked for Magyar Nemzet and became a close associate of Imre Nagy. During the Hungarian Uprising he supported the reformers and edited the newspaper, Oktober Huszonharmadika. Gimes was arrested and was tried and executed with Imre Nagy in 1958.